Urban life in Victoria, B.C. A few years ago, a video called To Build a Better City made the rounds on local urbanist blogs. It is about an urban renewal plan in Vancouver, and people were generally horrified by the “paternalistic” approach of the planners who were proposing the project. Recently, a contemporaneous video about the renewal of Victoria’s Centennial and Bastion Squares came to my attention: A Townscape Rediscovered. It is bundled with a recent book about Victoria’s City Hall, David Luxton’s Test of Time: The Enduring Legacy of Victoria’s City Hall. The reason I find this significant is the very different tone in each movie. A Townscape Rediscovered presents a very different, less arrogant method of urban renewal than was seen elsewhere in North America. 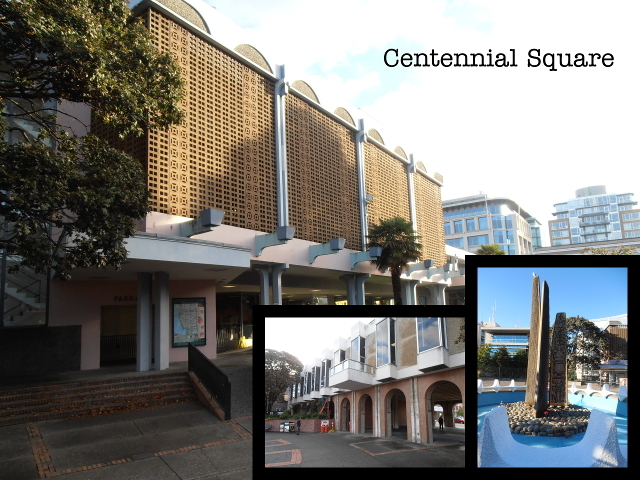 The book and the movie claim that the redevelopment of Centennial and Bastion Squares were early steps in the heritage conservation movement. In reading and watching this material, I’ve become more sympathetic to what was going on during the 1960s in Victoria than I have been in the past. Edit, January 26, 2013: Here’s a link to Gordon Price’s post “Enlightened Planning, 1964 version,” where I originally saw To Build a Better City. There is an interesting comment thread there that includes mention of Victoria’s Centennial Square. This entry was posted in Architecture, Development, Gentrification, GVPL, Historic Sites, Infrastructure, Land Use, Libraries, Planning, Public Art, Public Space, R.U.M. (Review of Urban Movies), Redevelopment, Research, Thesis, University Courses, University of Victoria, Urban Renewal, UVic, Zoning and tagged Thesis, University of Victoria, urban renewal, Victoria. Bookmark the permalink. To Build a better City-kind of epic to watch. Its the Joseph McCarthy approach to city building-the feds and the municipality decide what you need, and they go ahead and do it. Such a pity. Did you notice the only women in the film had tuberculosis and were ironing , or where washing clothes in a wringer washer? Detail from 1897 Cycling Map of Victoria. UVic Special Collections, G3514.53 C3P2 1897 P7.